This study investigated spatial and temporal patterns in distribution, population structure and diet of Bolin's lanternfish Protomyctophum bolini, Tenison's lanternfish Protomyctophum tenisoni and gaptooth lanternfish Protomyctophum choriodon in the Scotia Sea using data collected by midwater trawl during spring, summer and autumn. 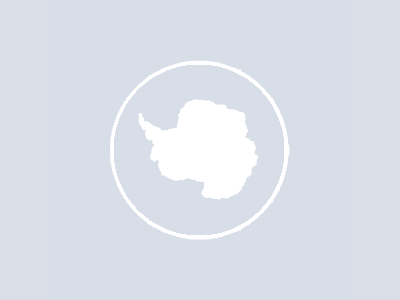 Protomyctophum bolini was the most abundant species of the genus encountered throughout the Scotia Sea with the greatest concentrations occurring around the Antarctic Polar Front (APF). This species had a life cycle of 2+ years, but spatial differences in population structure were apparent as the I-group was absent from all regions south of the APF, suggesting that the species does not recruit in the Scotia Sea. Protomyctophum tenisoni occurred mostly in waters characteristic of the APF and was absent from the southern Scotia Sea. It had a limited size range, but there was clear size-related sexual dimorphism with males significantly larger than females. The species had a life cycle of c. 2 years, but the I-group (c. 1 year old, 1 November to 31 October the next year) occurred only in regions close to the APF suggesting that recruitment is restricted to these waters. A seasonal southward migration for P. choriodon is likely as the species occurred mostly to the south-west of South Georgia in summer, but extended to the sea-ice sectors in autumn. Protomyctophum choriodon had a life cycle of 4+ years in the Scotia Sea and the population was dominated by age classes >3 years old. Larval stages were absent during the surveys for all species. Diurnal variations in vertical distribution were apparent for all three species. Interspecific variations in diet were evident, but all species were primarily copepod feeders, with Metridia spp., Rhincalanus gigas and Calanus simillimus generally dominating their diet. Small euphausiids, principally Thysanoessa spp., were also an important component of their diets, particularly for P. choriodon which had the largest body size. The spatial and temporal variations in diet for both P. bolini and P. tenisoni were broadly consistent with underlying abundance patterns within the mesozooplankton community. Authors: Saunders, R. A., Collins, M. A., Ward, P., Stowasser, G., Shreeve, R., Tarling, G. A.